We found 10 episodes of Climactic with the tag “campaigning”. The day before polling day, here's a final update from Act on Climate, and interviews with voters and candidates on the importance of this election in the context of climate change. Week 8, and it's one week till the polls open. Hear about how Act on Climate's Head in the Sand action went, and about some of the latest updates in the race. Banter plus a 360 degree mic makes this a lively episode. Leigh gives a great overview not just of where we're at with the election, but of the history and wins of Act on Climate. Great on-ramp for new listeners. Tim Lo Surdo — "Campaigners are people that believe in a better world"
We spoke to Tim Lo Surdo, Director of Democracy in Colour, a racial justice campaigning organization. We hear Tim's origins into activism, working alongside and with climate activists while pursuing parallel aims for social justice, and what motivates him to keep going. An interview with Kate Wattchow, a campaigner with FoE's Act on Climate collective. Kate is a force to be reckoned with at AoC, and puts a lot of time and effort into the campaigns. In this episode we find out why, and what sustains her. Week five of our unfolding miniseries following Act on Climate, a political activism group, on the lead-up to the Victorian State Election. Week four of our unfolding miniseries following Act on Climate, a political activism group, on the lead-up to the Victorian State Election. Damien Cole — Part Two: "Passion in Politics"
Week three of our unfolding miniseries following Act on Climate, a political activism group, on the lead-up to the Victorian State Election. 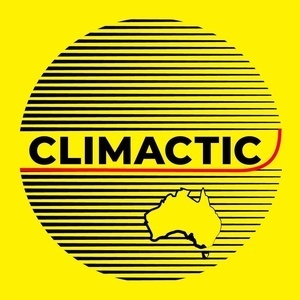 Damien Cole — Part One: "Common Sense Campaigning"
New contributor (and past guest) Max talks to Damien Cole, independent candidate in the November 24th Victorian state election, about running a climate aware campaign.